Greetings folks! It’s been a while since I blogged. Hope y’all had a happy & healthy holiday season. Rhinebeck last year. I’m finally getting around to drinking it. 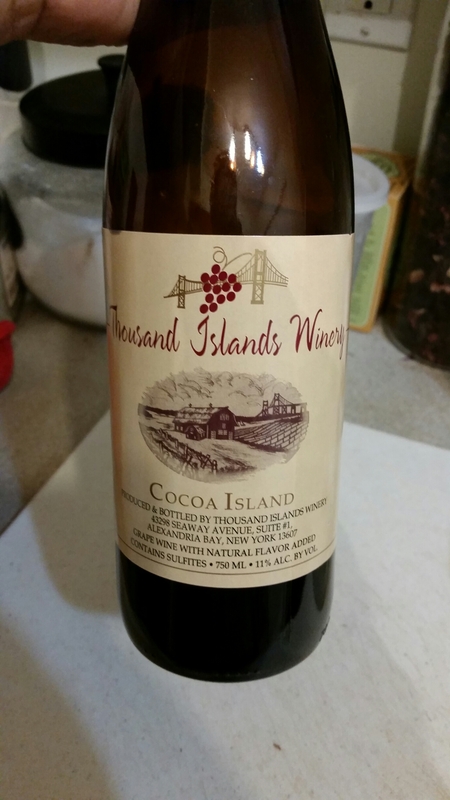 If you like chocolate and red wine, this is the perfect way to enjoy it together. This, and their Wellesley Island White wine will be among my staples that I’ll always keep in my cabinet.